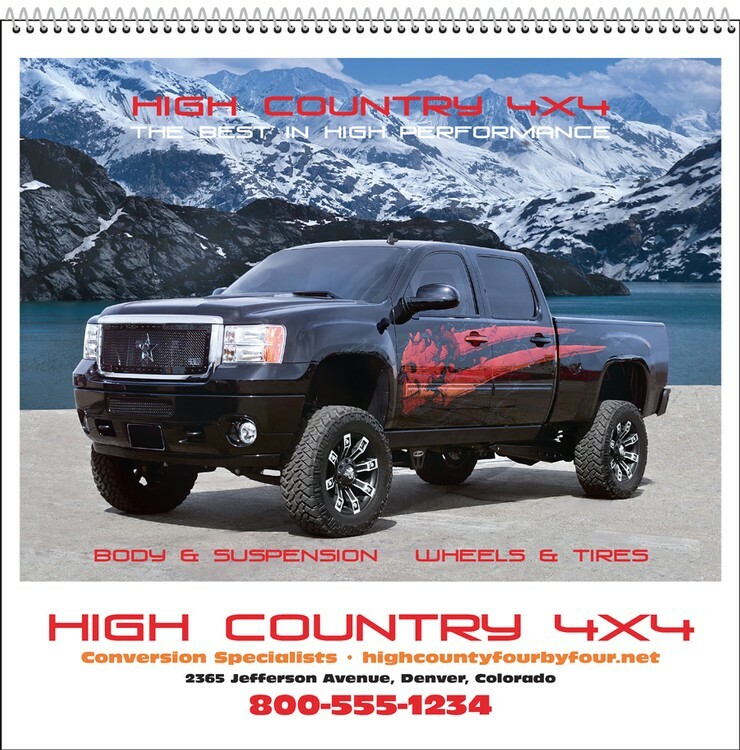 CustomLine VIII custom full-color poster with year-at-a-glance calendar. 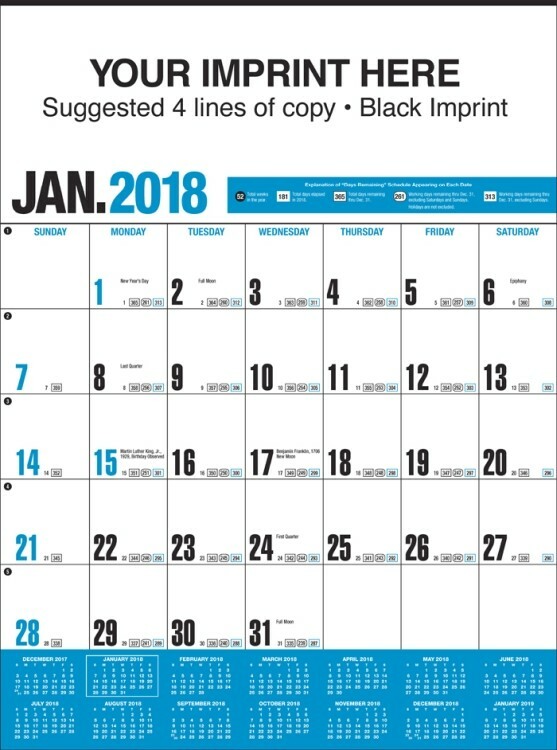 Create your own poster calendar. 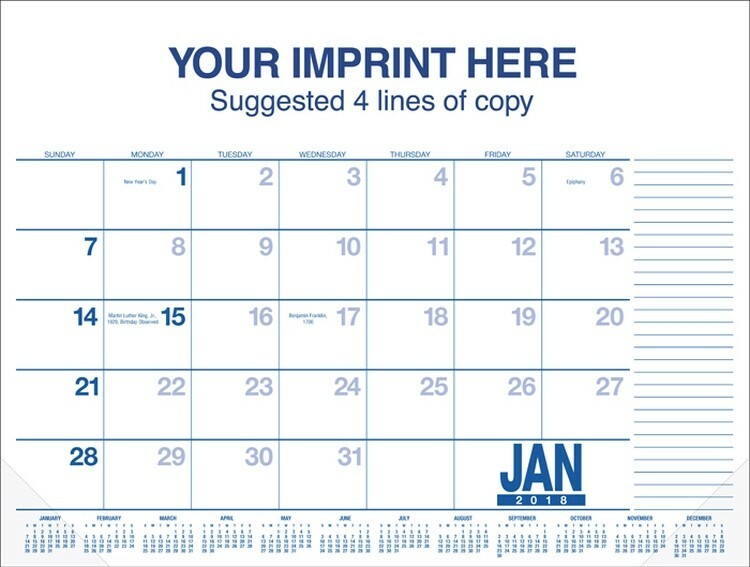 Printed on 65# gloss stock with your image and 12 month calendar. 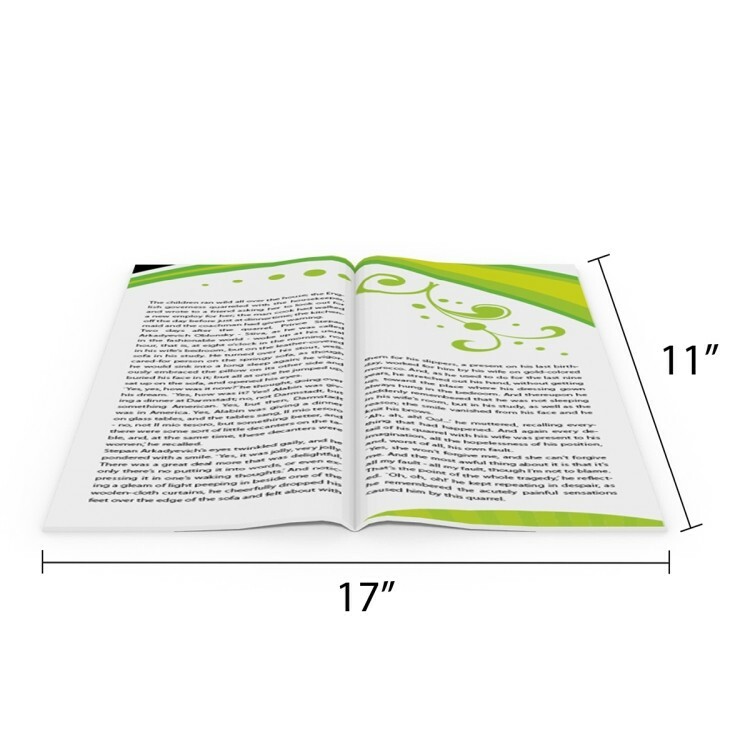 A full-color ad imprint is included. 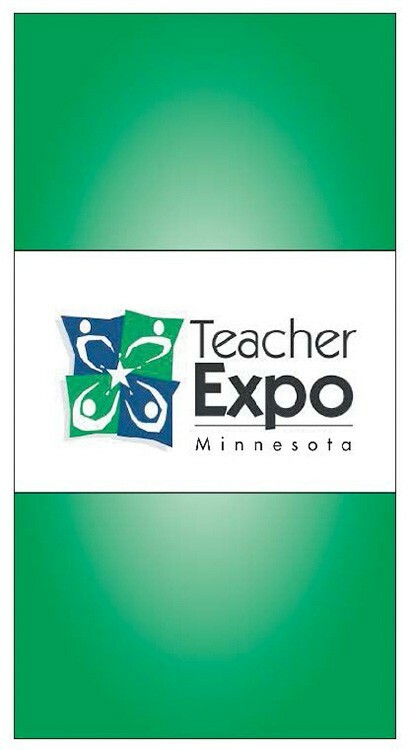 Calendar size: 14" x 22". 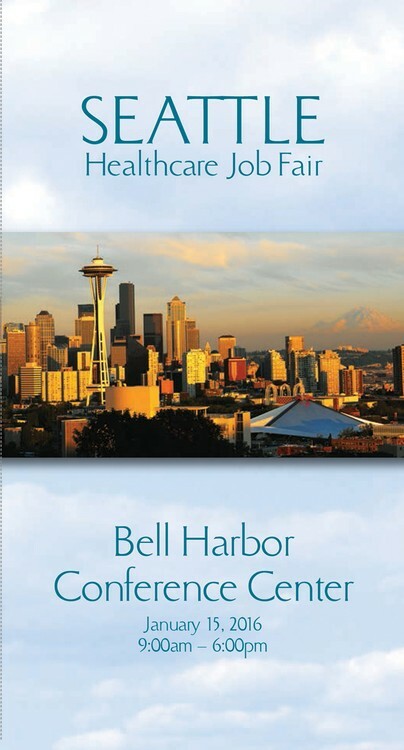 Your digital photo in full-color, minimum 13" x 8" at 300 dpi. 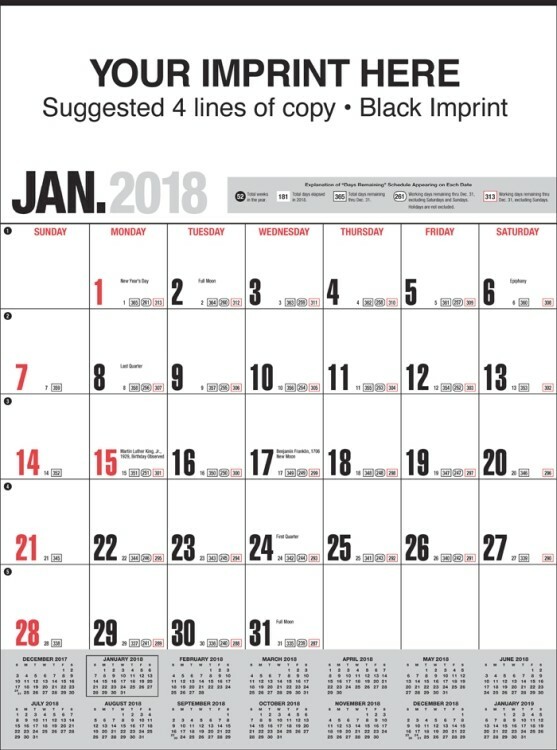 Custom calendar with spiral included. 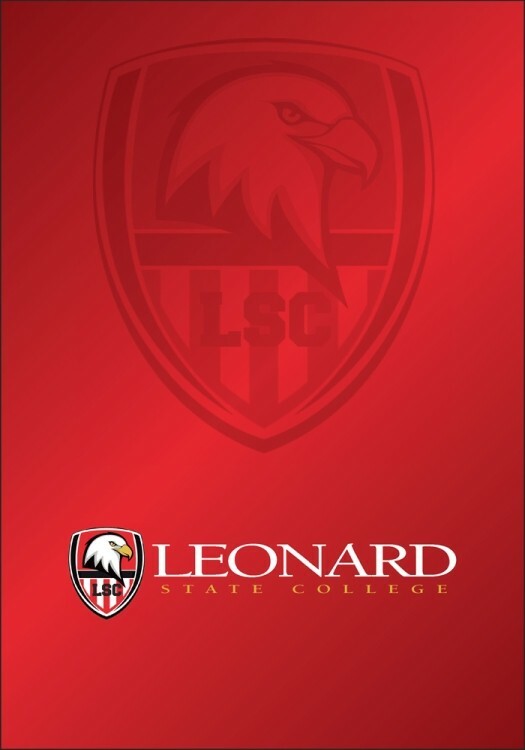 Customize an extra page, cover or backsheet. 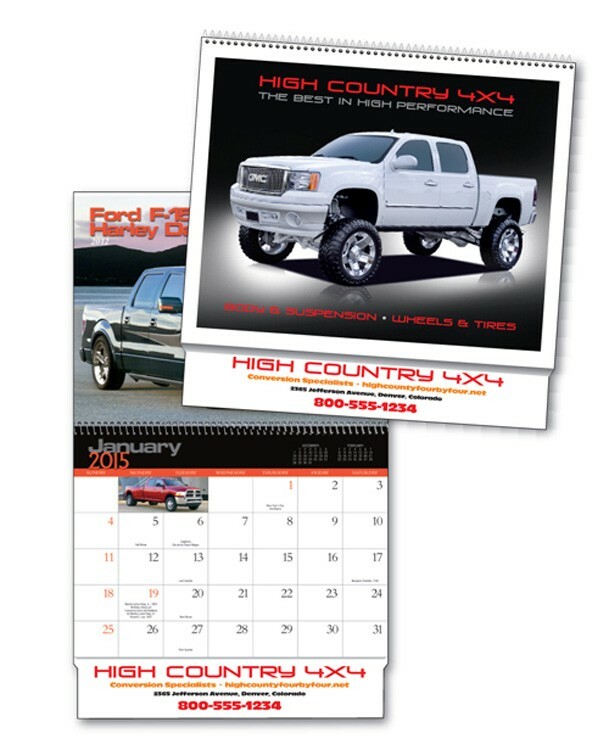 Add a custom extra page or cover with your copy or art - printed in up to 4 colors. 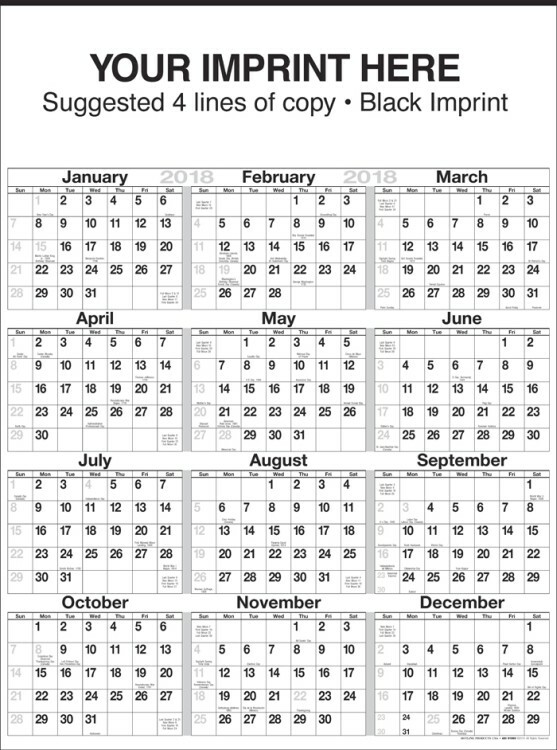 This extra page is spiraled to the outside front or back only of any calendar. 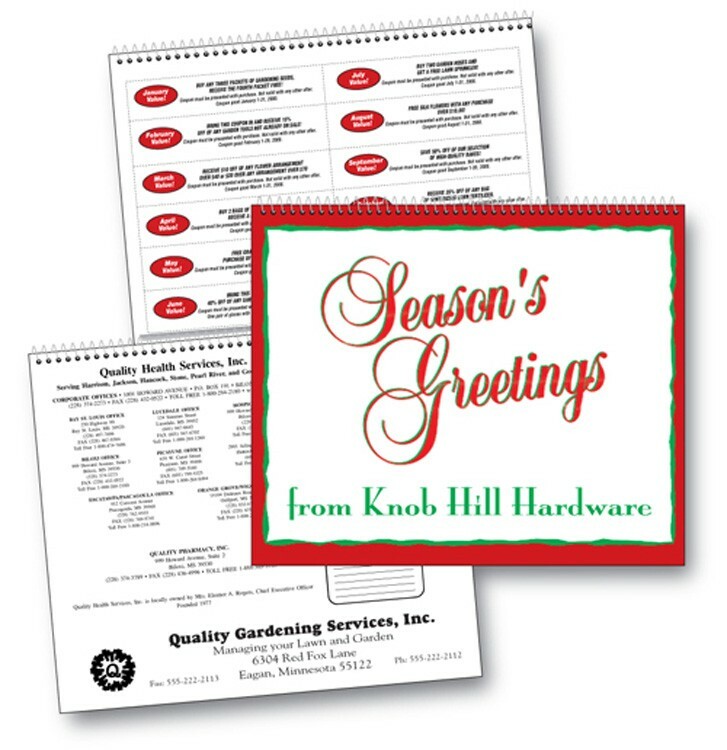 Calendar size: 10 7/8" x10" closed; 10 7/8" x18" open. CustomLine I standard stitch (stapled) calendar with customized front cover. 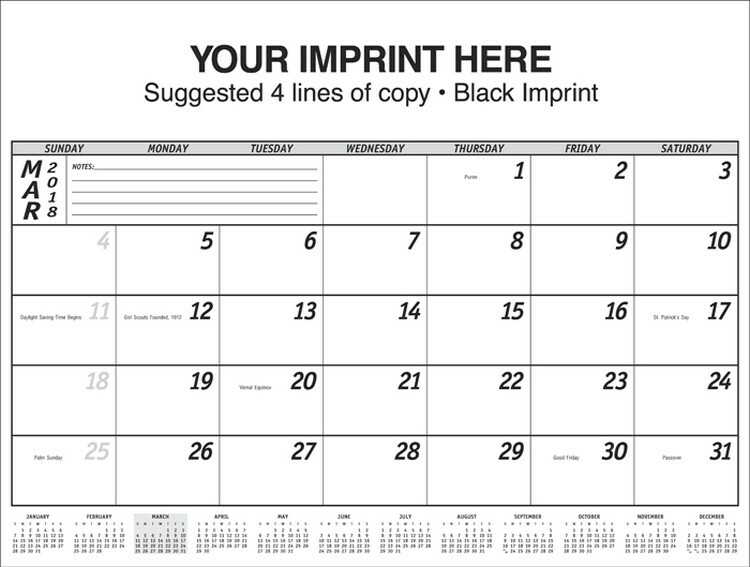 Calendar size: 10 7/8" x 10" closed; 10 7/8" x 18" open. 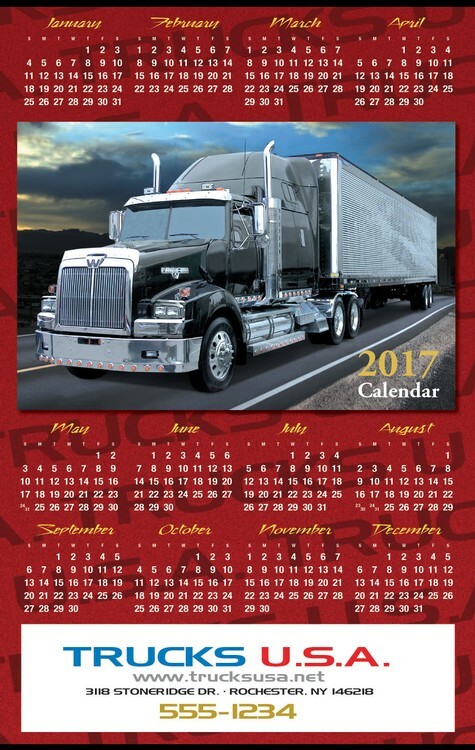 Put your custom photo as the front cover on any of the calendars.